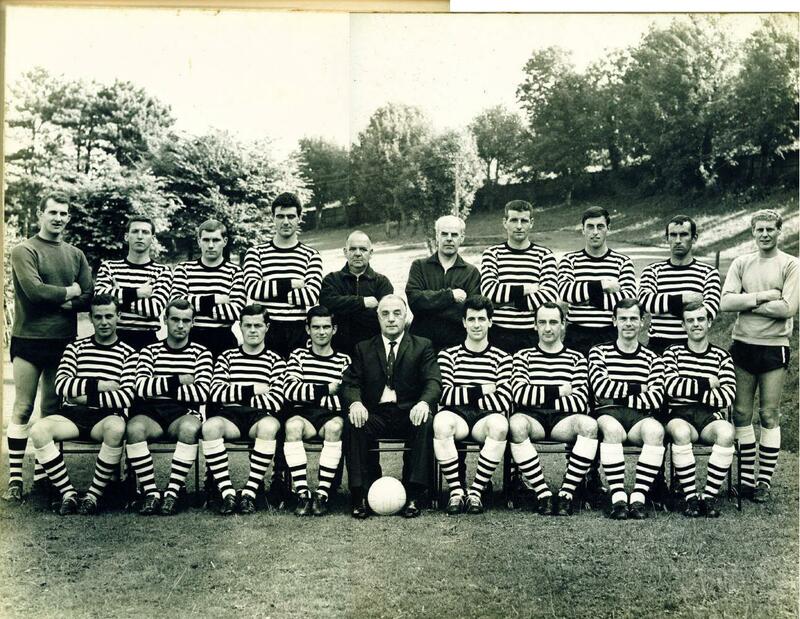 The 1966-67 Team - without Directors. Back row: Bill Price, Derek Robson, Bill Langley, Bill Swain, Jim Moffat(Trainer), Jim Blaikie(Trainer), Alan Brown, Chris Hurley, Johnny Ray, Ray O'Dell. Front row: Colin Clewlow, Bobby Nix, Harry Easton, Bela Olah, Bill Clover(Manager), Dave Peters, Bill MacKay, Gerry Morgan, Micky Griffiths.